CLOSEOUTS. 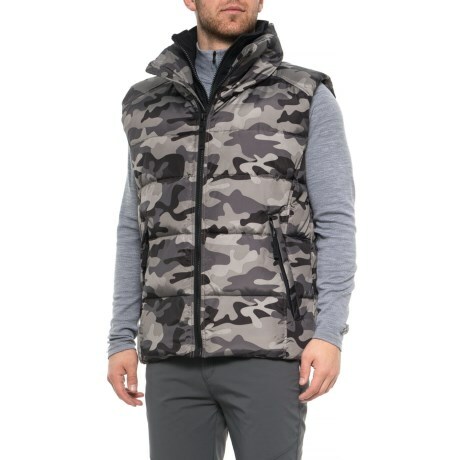 Quilted with warm down and feather insulation, S13/NYCand#39;s Camo Edge vest adds a lightweight layer of warmth for any chilly day. Available Colors: GREEN CAMO, GREY CAMO. Sizes: S, M, L, XL, 2XL.